This time is like a new territory. The challenges that face us invites us to engage into new conversations using a new language. Shifting from an economical driven mindset to a more mindful attitude. Using language that is more precise, heartfelt and courageous. Poetry offers an entry to our imaginative and verbal powers. Come and learn more about this strong source for new and more profound conversations in your work, personal and private life. Listen to the man who has practiced this art form and brought new life into the conversations of hundreds thousand all over the planet. 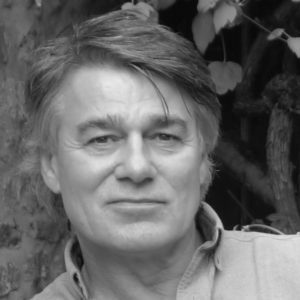 For the last 12 years we offered stage to poet, writer and philosopher David Whyte. He is not available as yet this year so instead we offer the video recordings of the event in Amsterdam 2013.